Tempered Glass Windows are a type of fixture that uses a safety glass and is ideal in homes or building that requires a sturdier window than the standard glass. The flexible glass is usually four or utmost five times stronger than the regular glass, and it does not break into tiny sharp pieces when hit by a force. This type of glass is produced and made harder by using a thorough process of applying intense heat and then rapidly cooling the glass. The glass becomes more brittle that it shatters into little pebble-shaped glass when broken. This minimizes the danger of being hit by sharp shattered glass. Furthermore, the glass is heat resistant making it an ideal window for public structures required by the building code to use safety glass. This window is also convenient to use in areas frequented by violent weather conditions like hurricanes, tornadoes, and high-intensity storms. Tempered glass windows are stronger than windows with standard glass, but they are less strong and easier to break compared to windows made of acrylic glass or laminated windows. Though they do not shatter into sharp shards, caution should be taken not to step on the small pebble-like glass because they still can bruise or injure. These types of windows are less costly than acrylic or laminated windows. However, they may need replacement more often than the two types of windows, especially when used in disaster-prone areas or conditions. Durability, cost of materials and installation and convenience are some of the considerations that are used in buying windows. Tempered windows are less costly and sturdier than standard glass windows. There are various manufacturers to choose from. A critical consideration is choosing the right manufacturer and installer. One can check if the product passes the requirements of the Energy Star and the NFRC indicators such as: the Thermal transmittance (U-factor), Visible transmittance, Solar heat gain co-efficient, Air Leakage and Condensation Resistance. There are about fourteen manufacturers of tempered glass windows in the United States and more than 1,500 manufacturers in China. Other countries also produce this type of window. This indicates a strong demand for the product, especially in Asia. Here is a list of the producers of the product in the United States. Avery Glass & Mirror produces all types of custom made commercial and residential tempered glass, including hurricane and high-impact windows. Kirkwoodglass – fixes all kinds of windows for residential purposes using tempered glass. 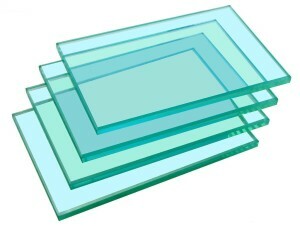 Lab Expo – uses tempered glass in its products. Oceanside Aluminum – produces custom windows for luxury resorts, villas and hotels. Cuban Crafters Cigars – manufactures and distributes safety glass and windows such as Bravo Glass Top Humidor. The Fireplace Company – distributes and supplies heat resistant and safety glass windows. Ritz – supplier of two products, the Corner Patch and Corner Patch Fitting. These companies offer safety glass windows in various colors and in opaque, transparent, or translucent glass depending on the need of the customers. The tempered glass window can also come in different style like single hung, double hung, slider, awning, picture windows, among others.